Hand-painted heart and lung model. Model Is Number And Hand painted. Included With A Identification Key Card. Model Is Made With Durable Plastic. 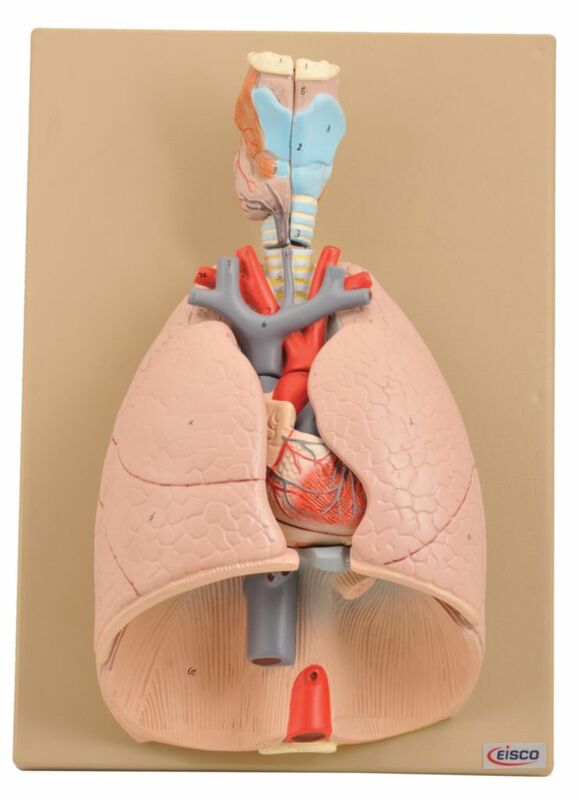 This hand painted, advance heart and lung model has the following removable parts: larynx (2 parts), heart (2 parts), and lobes of the lung (2 parts). Additionally, it shows: wind pipe with bronchial tree, subclavian artery and vein, venacava, aorta, pulmonary artery, esophagus, and diaphragm. On base.